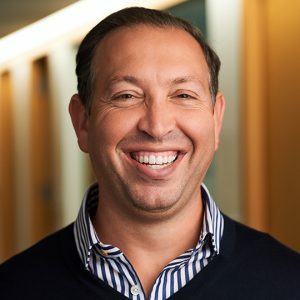 Anton Levy, Managing Director and Global Head of General Atlantic’s Internet & Technology Sector, was named #31 of 100 to Forbes’ Midas List of Top Tech Investors for 2019. This is the fifth consecutive year that Anton has been named to the Midas List. To select the annual Midas List, the editorial team uses submissions from venture capitalists, as well as Dow Jones VentureSource exit data and historical lists, to form a comprehensive set of data points for the Midas model. A company is only considered for VC deal attribution if it exited a portfolio company in the last five years at $200 million or more. Next, the editorial team calculates a ranking for each VC’s investment in a qualifying company, which is based on generated deal value, size of exit or private valuation, and other key metrics weighted to favor more recent deals, earlier stage investments, and higher investment multiples. They then aggregate the number of “winning” investments per VC to determine his or her total deal attribution score, which informs a deal metric ranking against his or her peers. Then, the editorial team considers the total number of qualifying deals per each VC to determine his or her deal count ranking. Together, the rankings by deal metric and deal count, coupled with a review by experienced institutional investors and venture experts, determine a VC’s position on the Midas List.